The hungry couple will be heading out soon for an extended holiday weekend of grilling and chilling. We've been having a lot of weather lately so fingers crossed for lots of sun. Before we leave, though, we wanted to present you with this very adult version of a summer picnic classic. Did you even know that they make marshmallow vodka? I sure didn't until I saw a few mini bottles of it lying on the dining room table. And how would they get there, you may well ask! There's a big liquor depot in Connecticut, near one of Brian's clients, and they apparently sell tons of different mini bottles for $1.00 each. Brian stops in there on his way home and goes browsing through the minis. Once home, he empties it all out on the dining room table, obviously in the belief that the bottle fairy will come and put everything in place. So, the bottle fairy was checking out the new minis and stopped in her tracks when she saw marshmallow. There's only one thing I want to do with marshmallow vodka. OK, maybe two things because it actually tasted really good just being swigged from the bottle. But I restrained myself because there was a liquid s'more in my immediate future. I played around a bit with the ingredients but it was actually pretty easy to replicate the taste of the dessert. And, I even had some marshmallows in the house which saved me a trip to the store because those were the only possible garnish for the glass. I really should put a warning sticker on this, though, because it goes down way, way too easily. Cheers! Crush the graham cracker into a shallow bowl using your hands. It's OK if there are some chunkier pieces. Place the chocolate into a second shallow bowl and microwave for a few seconds until melted. Dip the rim of a martini glass into the chocolate and then into the graham cracker pieces. Refrigerate for a few minutes to set. Add the marshmallow vodka, chocolate liqueur, creme de cacao and cream to a cocktail shaker. Fill with ice, shake well and pour into the prepared glass. Spear the marshmallows on the end of a skewer or long fork and hold over an open flame for a couple of seconds until the ends get toasted. Thread them onto a cocktail pick and garnish the drink. Dude...happy 4th of July to meeee! I think these might be the best photos you've ever taken-gorgeous. 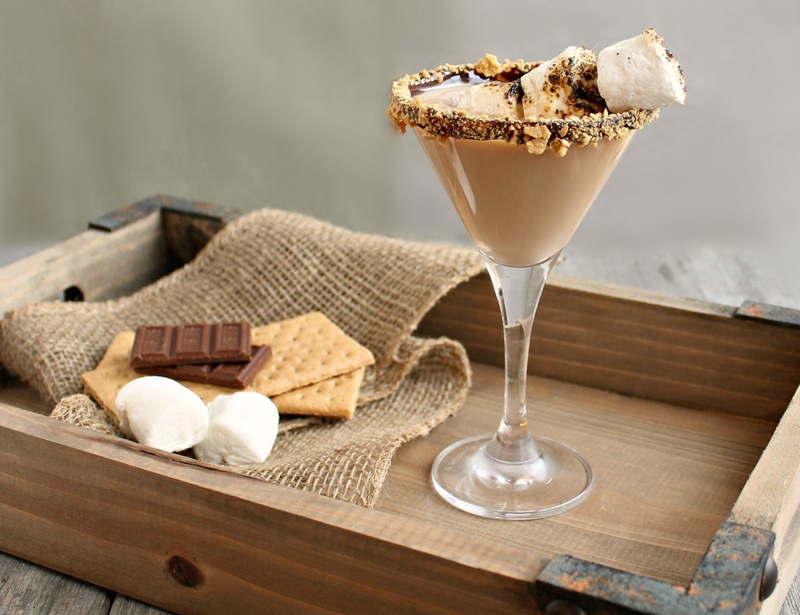 And omg s'mores martini!!! GASP! Holy get in my my mouth!! Yum Anita! Happy Happy 4th of July! Enjoy vacation! I honestly can't believe they make marshmallow vodka. Scratch that, I can believe it. So it really tastes like marshmallow. Looks incredible, maybe I'll break my rule about drinking chocolatey /creamy drinks for this. Holy S'mores Batman!! 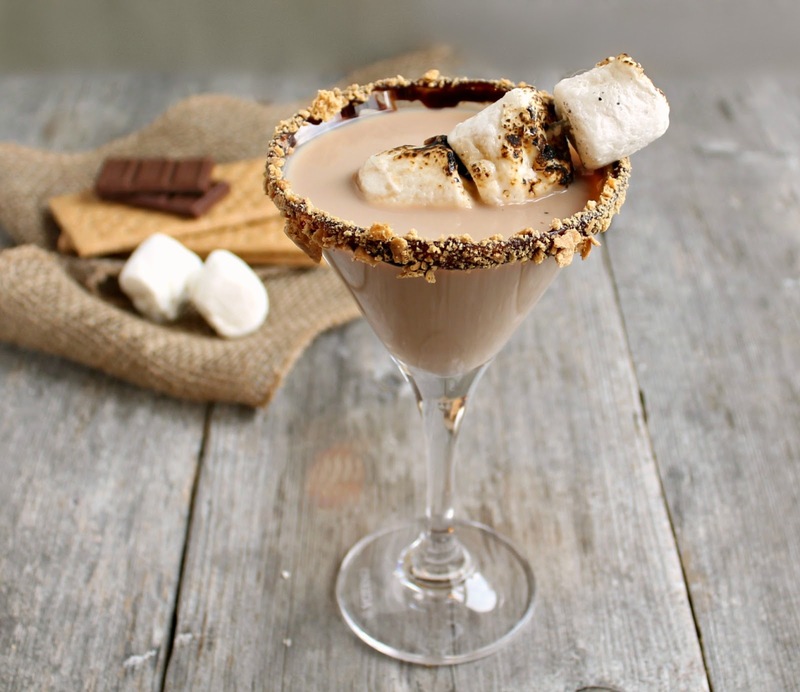 Cheers to you for creating such an incredible dessert martini. Enjoy your holiday! These are dangerous and exciting! Thankfully I like to live dangerously on occasion. I'll come be the bottle fairy, you just mix the drinks for us! Okay this is the last straw. I start drinking tomorrow. You've shoved me over the edge. This is freaking fantastic. What a wonderful way to have a campfire-esq treat! What!!!! 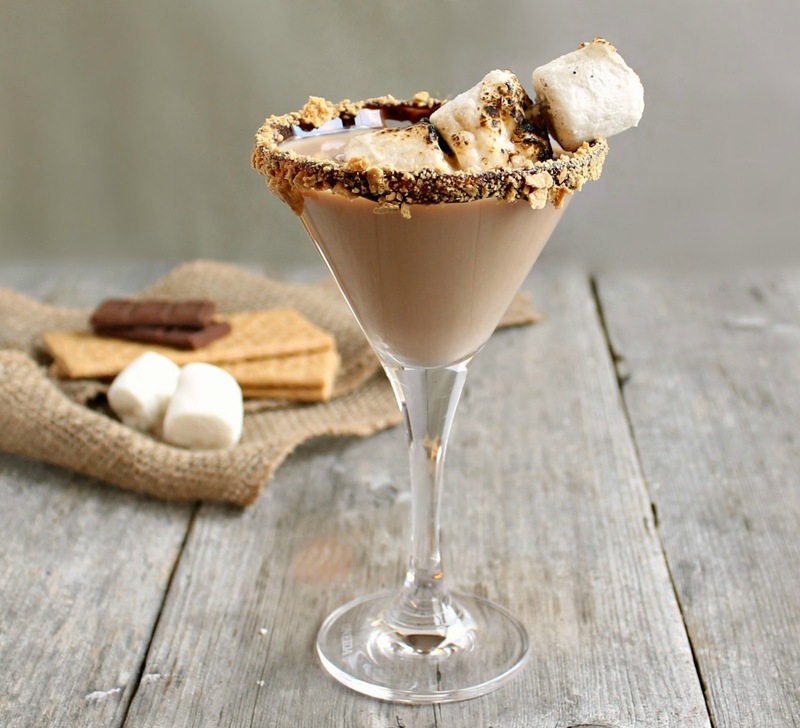 a smores in liquid and adult form.. Sign us in. Whoa, these look terrific...I could have my cocktail and dessert in a couple gulps! I'm sure it would go down really well! 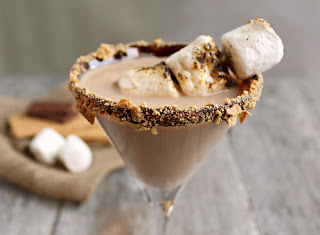 Wow, Anita, guess that would take care of cocktail and dessert for me in one 'shot'...just have a couple of these amazing mouthwatering martinis, and I'll be in S'Mores heaven! Have a wonderful time...grillin' and chillin'! Marshmallow vodka... What? Oh, now it's on my radar screen. I'm on a mission. I sucked in breath when I saw this delicious cocktail. I thought, "I need this. Yeah, I really need this." Anita, you sure do know your tinis, and I love ya for it. I used to work at a restaurant that served these and they were awesome!!! Your recipe is nearly identical so I'm sure it will be just as good. I see myself going to the liquor store in the near future!! 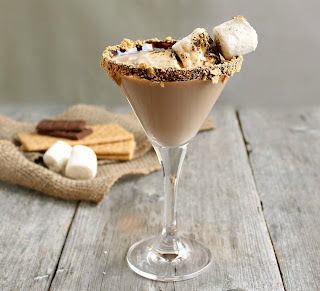 Pretty sure this is the perfect drink to have with all of my smores dessert. Yes yes hell to the yes! Anita, your creativity with booze astounds and amazes me all the time. I love that I can now both eat and drink S'mores. Your photos look incredible - I wish I could reach into my screen for a glass of this deliciousness. You made me light up like the skies this past 4th of July. Thank you for putting the sparkle in my glass!!! I made this for a Murder Mystery Party I had last summer. It was a "Camp Reunion." It was such a hit! Can I post a link to this recipe on my blog? I'm so glad you enjoyed it! Yes, as long as it's just a link and not the full recipe then I'd be very happy if you linked to it. Cheers!